J.D. studied Fine Art - Painting (B.A.) at St. Martins School of Art and a 3 year Postgraduate diploma at the Royal Academy of Arts Schools, London, where she concentrated on composition. She now teaches at the University of the Arts, London. 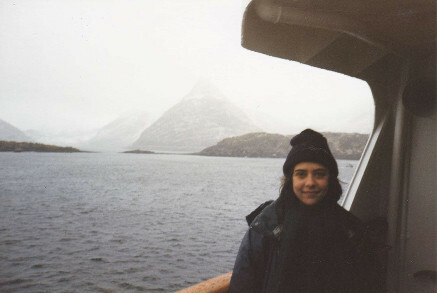 "In 1998 I went to Trondheim Kunstacademie, Norway, on a research scholarship, and things began anew.....I lived and worked in Norway for 5 years, including a year in Tromsø, in the north. The vast spaces there were great - a white desert. I focused on drawing while there and learnt that the work comes from the landscape and the forest. I currently work with drawing collages, ink works on boards and installations using drawings as a material. I like looking at maps - a language of marks. I like the visual language, motifs and symbols found in maps and am interested in topology, the earth’s surface. “the visual description of the surface features of a region, eg its hills, valleys or rivers”, and “the representation of these features on a map” (or artwork). Plant forms, stones, tree roots, reeds, swamps, hurricanes, earth - turf peat and coal, mud, storms, pools, stone walls, lichen, moss, seaweed, the river source, gales, flowers, rock formations, huts, sheds, roof tops, architectural form, ice on lake shores. I noticed the similarities found both in nature and in man’s nature / behaviour, eg stormy weather, serene, ordered, violent, calm. The drawings are a language of marks and images built into linear compositions. In 2013 Julia set up a studio in rural Kerry on the west coast of Ireland. She now lives and works in London and visits Ireland.